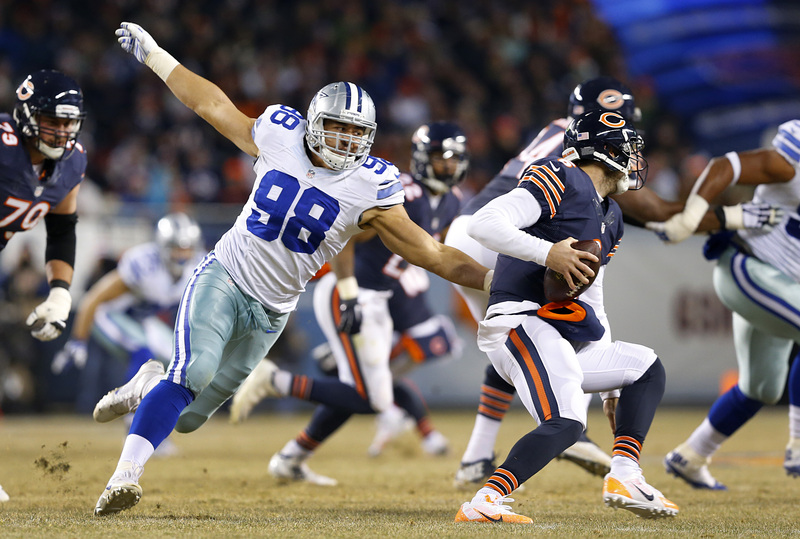 At best, Tyrone Crawford will be out for a few weeks. At worst it could be something that extends deep into the season. Whatever the damage, it will have ripple effects throughout the rest of the preseason, at the very least. First and foremost, this is a loss. I'm in the camp that would love to see the Cowboys move Crawford back to the 3-Tech defensive tackle position that he is more suited for. But, Rod Marinelli and the rest of the defensive coaches don't listen to me, so at left defensive end, he remains. They seem to like him there more and they know more than me, but it is a loss. Crawford, despite dealing with injuries and changes in position has been a solid contributor. It's been a few years since he's provided much in the way of spectacular, and he's yet to live up to the contract he received in 2015, but when he plays, he helps your team. Though we hate to talk about another player's injury benefiting someone else, that's the reality of the NFL. Next man up. The first team left defensive end (LDE) snaps will be reallocated. The player that stands to benefit the most from Tyrone Crawford's absence is Taco Charlton. It would seem that first round pick Taco Charlton will get the first shot to take those snaps. The team wants him to be an every down player at defensive end, but as many in Cowboys Nation will tell you, he has a lot to work on. Now he will have ample opportunity to work on his game as he gets even more practice reps.
Read Inside The Star Staff Writer Sean Martin's scouting report on Taco Charlton. All rookies need time, patience, and--most importantly--snaps. Not perfect and not ready for a full-time role, but the more practice and preseason snaps Taco can get the better. Looking at the second-team 3-technique snaps, Crawford being out will allow several players a chance to compete for those backup 3-tech snaps. Stephen Paea has already taken some first team snaps at three-technique while Maliek Collins sat out practice last week. As the back-up 1-technique to Cedric Thornton, he is already slotted for a role on the defensive line. Crawford's injury will open up more possibilities for Paea. Long-shots to make the team out of training camp, Jordan Carrell and Joey Ivie now have an increased opportunity. They will likely be behind Paea in the 3-technique rotation, but one less player leads to more snaps. Carrell and Ivie will get more snaps in practice and in the next four preseason games to show that they belong in the NFL. One of them could end up on the 53-man roster coming out of training camp. It's never good when a starter is lost to injury, no matter how you feel about that player, but several players stand to benefit because Crawford won't be practicing for a while. Those practice snaps can only help the players show the coaching staff and scouts just what they have to offer.